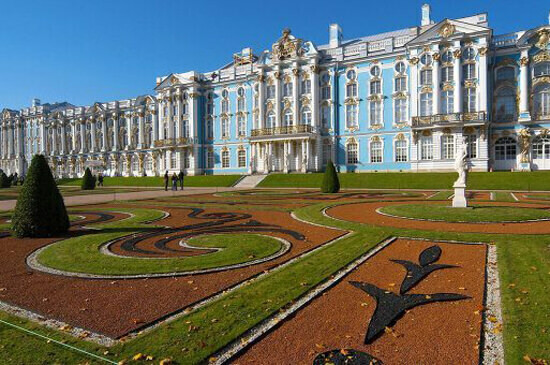 The series of palaces and parks of Tsarskoye Selo and Pavlovsk are located to the south of St. Petersburg and known as the Romanovs' favourite places of summer rest. These country residences appear to be superb examples of architecture and park design included in the UNESCO World Heritage Site list in 1989. 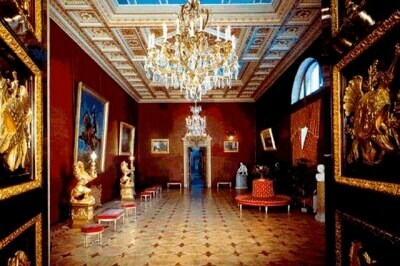 Today they function as public museums and show two absolutely different sides of the royal life. 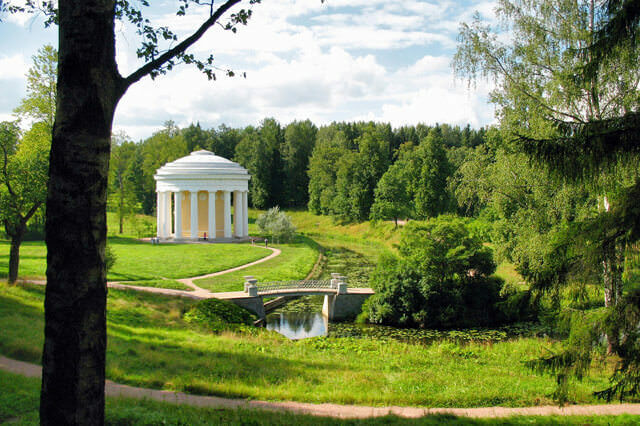 While Tsarskoye Selo gives insight into the world of great ceremonies and balls, Pavlovsk can be associated with family recreation in the intimate circle. Tsarist Selo (Tsar's Village) was founded by Peter the Great in 1710 on the lands that had been reclaimed from the Swedes during the Great Northern War and became a present to the future Empress Catherine I. The Catherine Palace, named after the first owner, was a rather modest structure with 16 rooms, surrounded by a Dutch garden laid out in symmetrical fashion, with dense shrubs, trimmed trees, flower-beds and reflective ponds. After a few decades Peter the Great's daughter Elizabeth I ordered Francesco Bartolomeo Rastrelli to rebuild the palace and to redesign the rooms according to the new fashion. 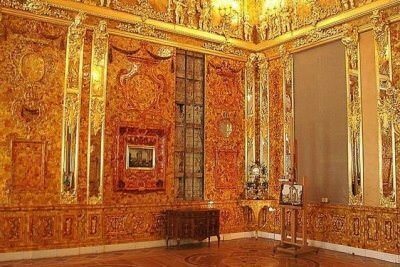 As a result, the Catherine Palace became one of the most florid and sumptuous example of the Russian Baroque style, which will never cease to impress the visitors with its glamor and glitter of gold. Both Elizabeth and her successor Catherine the Great contributed to the creation of the main attraction of the Catherine Palace – the Amber room, which was finished in 1770. It was also the time when some of the palace interiors were redesigned according to Classical style. The small Dutch style garden of Peter the Great's time grew into a romantic and more natural-looking landscape park with new pavilions and gazebos, reminding of Ancient Greek and Rome structures. For the Russian people Tsarskoye Selo is also associated with Alexander Pushkin, the greatest Russian poet of the 19th century, who studied here at the Imperial Lyceum for noble boys. That was the reason why the town was renamed into Pushkin in 1937 (сommemorating the 100th anniversary of the poet's death). Pavlovsk was presented by Catherine the Great to her son Paul I to celebrate the birth of his first heir, but it was Paul's wife Maria Fedorovna (Sophia Marie Dorothea Auguste Luise von Württemberg) who spent almost 30 years of her life turning the residence into a warm and cozy place for family rest. The palace was designed by the experts of Roman architecture who were influenced by Andrea Palladio and became an integral part of the surrounding park, which is said to be the largest in Europe. 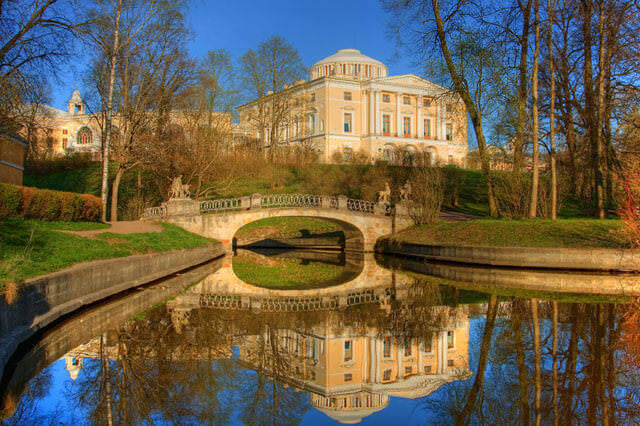 The Pavlovsk park contained the first Russian amusement hall on the last station on the railroad, where famous musicians and ballet dancers used to perform. 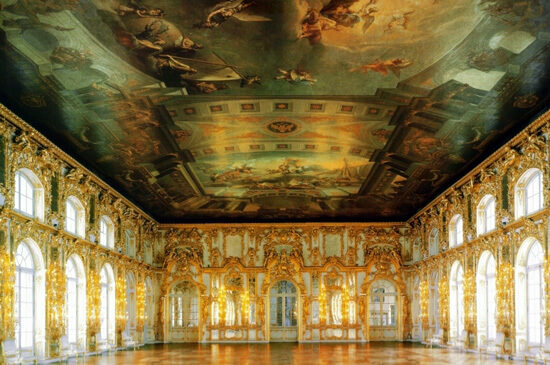 Both Tsarskoye Selo and Palvlovsk suffered badly during the WWII and were against all the odds restored to life by a team of highly professional craftsmen and researchers who started works in 1950s. To follow the traditions of entertainment in Tsarskoye Selo and Pavlovsk we invite you to dine at the atmospheric restaurant Podvorye, which is located five minutes away from both residences and attracts visitors by excellent Russian cuisine and holiday spirit. 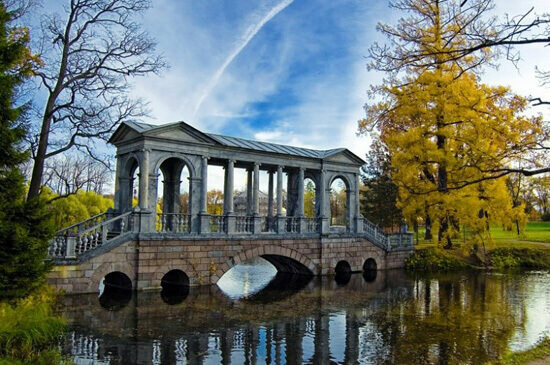 The Catherine Park with the masterpieces of landscape architecture: the Hermitage and Grotto pavilions, the Cameron Gallery and Thermae of Catherine the Great. 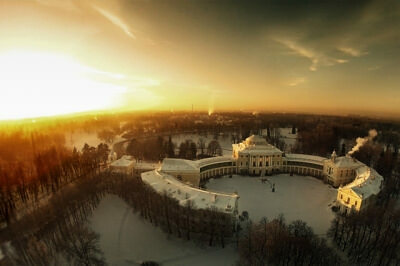 We providing private guided tours to Pushkin (Tsarskoye Selo) and Pavlovsk in English, German and other languages.